There’s a new Game of Thrones poster. Cue: The Hoards of Internet Detectives and their thorough examination of every last pixel spreading like Wildfire across the web. As we eagerly await season seven, some hawk-eyed observers have noticed something in the set of photographs from set that might give away some plot details in the upcoming episodes. In the photograph, Cersei sits atop the most uncomfortable throne in fictional history and her incestuous partner-in-power, Jaime Lannister stands alongside her. While – after the ending of season six – that might be bizarre enough, actually, the oddity is in the detail. If you look closely at Jaime’s sword, you might notice a ruby red gem nestled into the hilt and the intricate gold banding, which will look familiar to long-serving GoT fans. It appears the blade is the Widow’s Wail, previously gifted by Tywin Lannister to the former nefarious prat, Joffrey Baratheon, forged from Ice, the blade of the House of Stark. The sister Valyrian steel blade, Oathkeeper, was gifted to Jaime but he gave it away to Brienne of Tarth. 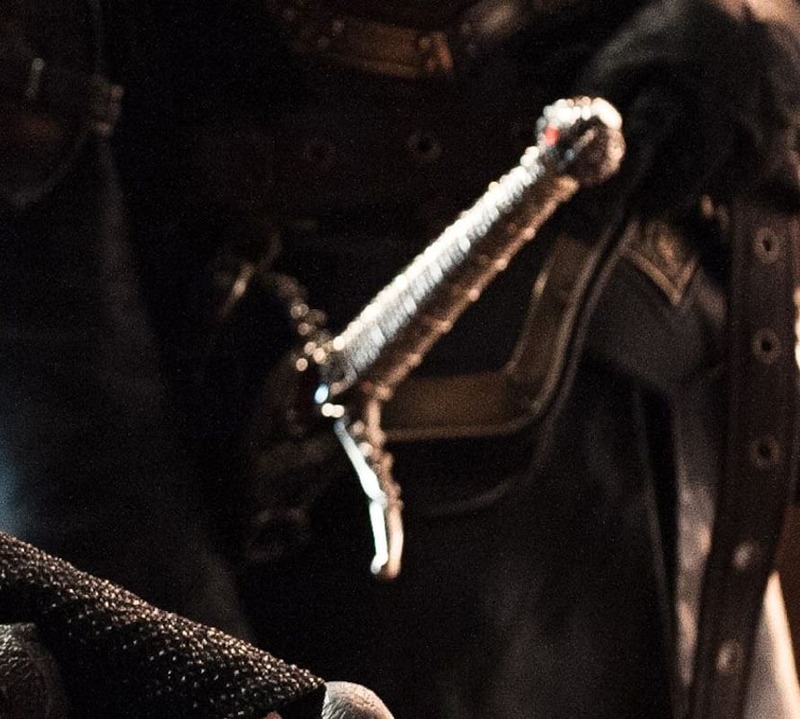 While Brienne has given Oathkeeper a few seasons of action, we haven’t seen the Widow’s Wail since season four. Meanwhile we’re all left wondering how that will fit into the epic introduction of Highcastle and Casterly Rock – and the promise of the biggest battle scene yet. Or perhaps the Widow’s Wail marks an ominous foreshadowing of Cersei’s demise? Season 7 will be premier on HBO on July 16 and you’ll just have to wait and see. [MAIN SPOILERS] Jaime wielding Widow's Wail?